»The focus on ›antibiotic free production‹ really addresses a major challenge for our industry!«, said Mr Kazi Sayed, Managing Director of Kazi Agro Ltd. Bangladesh, commenting on the topic of the International Ecknowlogy® Conference that came to an end on Saturday. »We had fascinating talks, gained very valuable insights and had plenty of opportunity for networking. A big thumps up!«, he concluded. 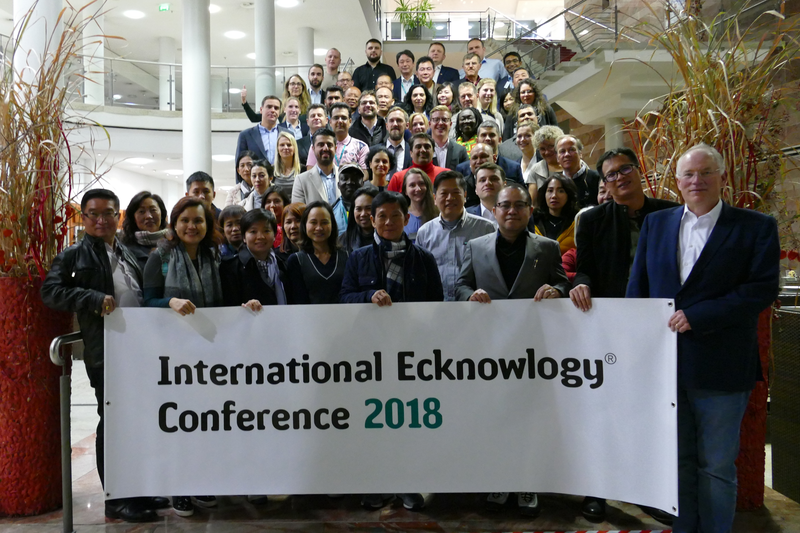 More than 50 participants from Asia, Africa, Europe, the Middle East and South America attended Dr. Eckel’s international trade conference in the spa town of Bad Neuenahr-Ahrweiler, just a few kilometres from the company’s headquarters in Niederzissen. All were equally impressed with the topicality of the conference: ‘Antibiotic-free production – opportunities, changes and challenges’. Ultimately, the question of how to sustainably reduce the use of medication and efficiently improve animal welfare is hugely relevant worldwide. Among the speakers was Professor Wilhelm Windisch, Chair of Animal Nutrition at the TUM School of Life Sciences Weihenstephan, Technical University of Munich, who spoke about visions and innovation in animal nutrition, as well as the progress that has been made to date, in his keynote address. In the technical lectures, experts and participants discussed the efficient use of resources, feed and food loss, potential herbal active ingredients and the opportunities and challenges that will arise in the attempt to achieve antibiotic-free animal production. In this regard, there is a lot of potential for feeding in particular, because it is one of the major factors that improve animal health and welfare while reducing medication. Dr. Eckel has been advocating this approach, which is now attracting interest worldwide, right from the start. Beyond the specialist topics, the extensive social programme ensured that the participants had ample opportunity to exchange experiences and opinions in an informal atmosphere. In addition to Dr. Eckel’s aquaculture production and testing facility, the participants also visited the world’s deepest beer cellars at the Vulkan brewery in Mendig and enjoyed a traditional pre-Christmas goose dinner. Afterwards, they all agreed that Dr. Eckel’s international trade conference was the perfect conclusion to a successful week at the EuroTier trade fair.